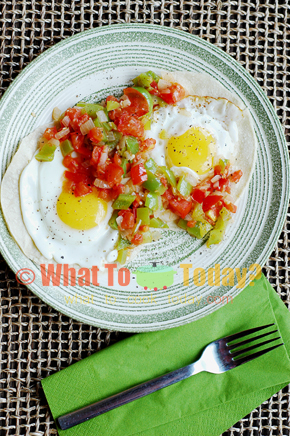 Huevos a la Mexicana and Huevos Rancheros are two favorite egg dishes of Mexicans. 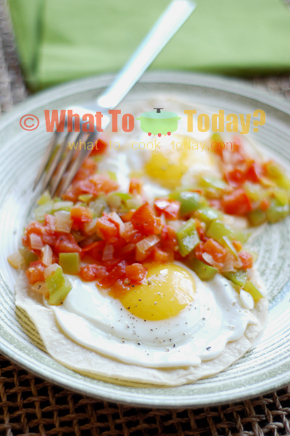 This popular ranch-style eggs were commonly eaten for the late breakfast, but now you can find them on menus all day long, served with extra tortillas. The old saying of “If you have eggs, you have a meal” can’t be any more true. 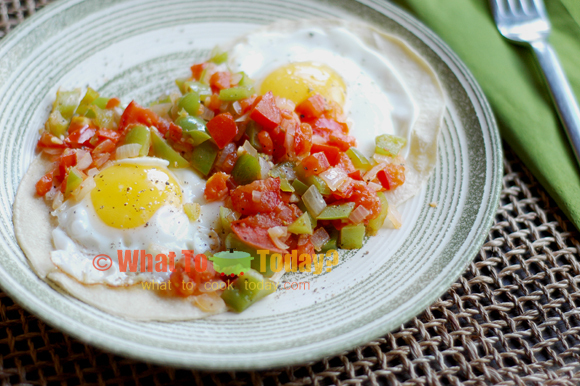 Huevos rancheros is definitely a complete meal on its own. I love having huevos rancheros for dinner too when I want to keep thing simple and dining on my own. Place the corn tortillas on a skillet on very low heat to keep them warm while preparing the rest.